Getty ImagesLin-Manuel Miranda in ‘Hamilton’ on its opening night on Broadway. The face of Broadway’s hit hip-hop historical musical “Hamilton” is about to change, literally. 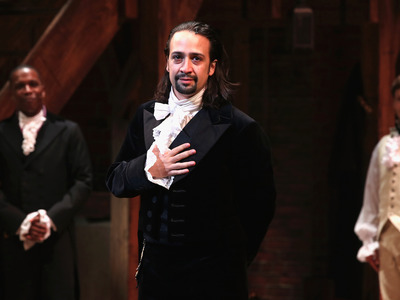 It’s been confirmed that creator and star Lin-Manuel Miranda’s last day in the show will be July 9, USA Today reports. And there could be some other changes in the musical’s original Broadway cast, according to several reports. Miranda — who wrote the book, script, and song lyrics for “Hamilton” — is set to leave the role when his one-year contract is up. Miranda’s departure is a sure thing, but other original cast members are also coming up on the end of their one-year contracts, according to The Hollywood Reporter. They’re all expected to be in negotiations to renew their contracts. THR’s sources say they want big raises and to share in the profit from the show’s $1.6 million ticket sales each week. And they’re prepared to walk if they don’t get what they want.